Remove the front side door upper front trim panel. 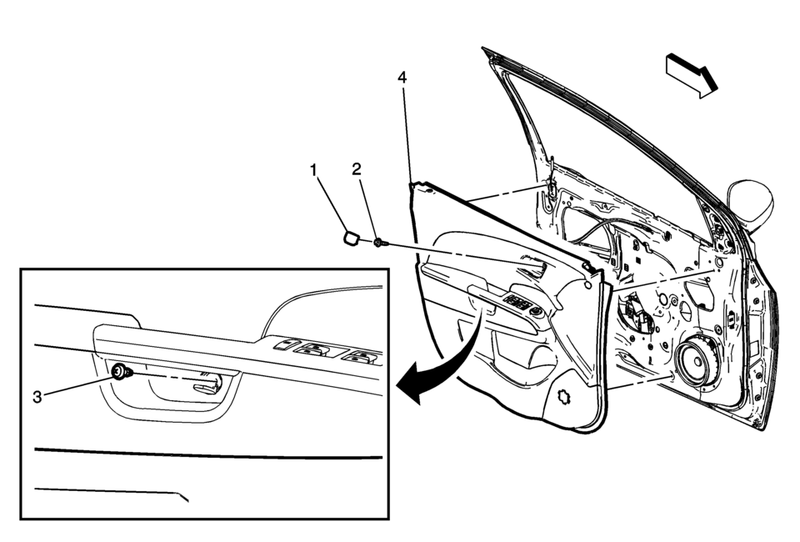 Refer to Front Side Door Upper Front Trim Panel Replacement. Use a small flat-bladed tool to open the front side door trim integral cap to access the fastener.